Remember, you can see a larger view of any image and other associated information by simply clicking on the image. 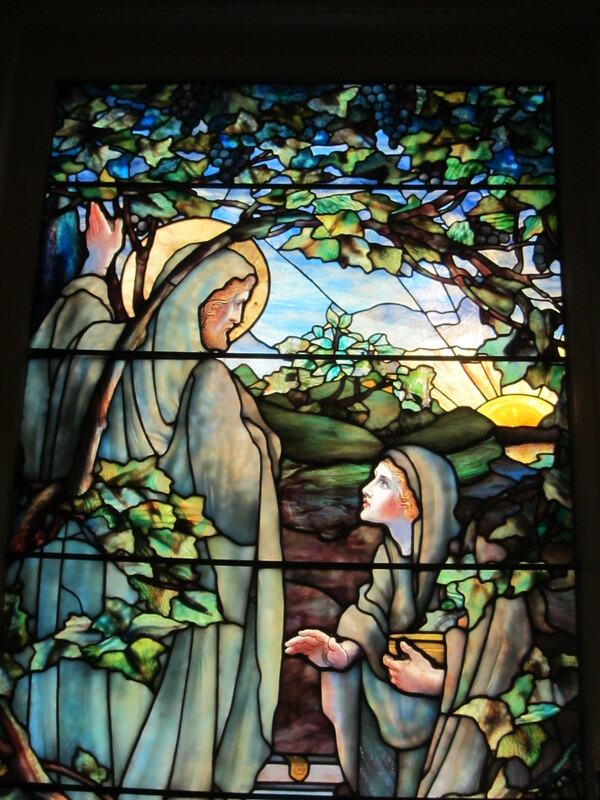 The Long Memorial Window depicts Jesus’ appearance to Mary in the garden on Resurrection morning. 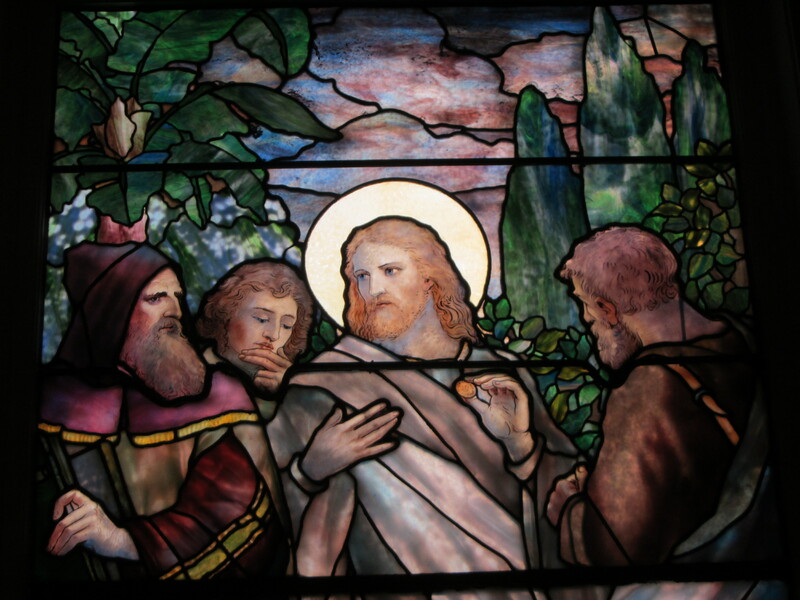 Donated in 1905 by R.A. Long and designed and fabricated by the Tiffany Studios of New York.